If you have problems with the automatic configuration, follow the instructions below to set up your email address manually. 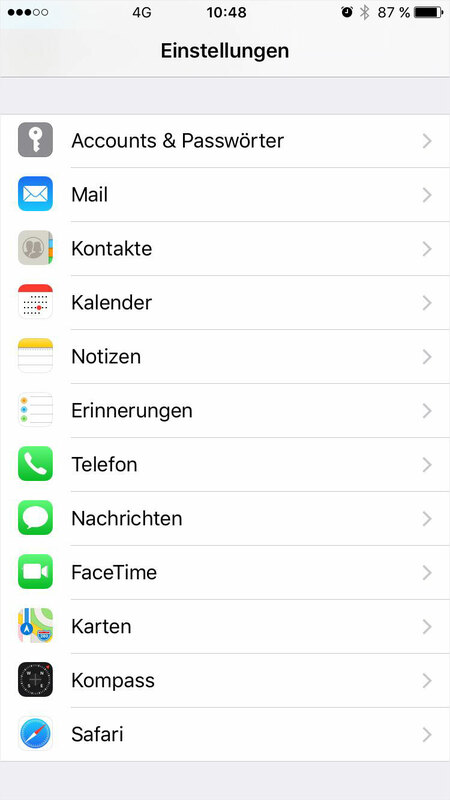 Open «Settings» on your iPhone. Now select «Add Mail Account». Email: Enter the email address you want to configure. Password: Enter the password for the email address you set previously in My Panel. If you do not know the password, refer to the instructions for changing your email password. Description: Enter a description for the account as desired. After you have completed all fields, press «Next». Select «POP» or «IMAP». We recommend using IMAP to access your emails because the emails remain saved on the server. 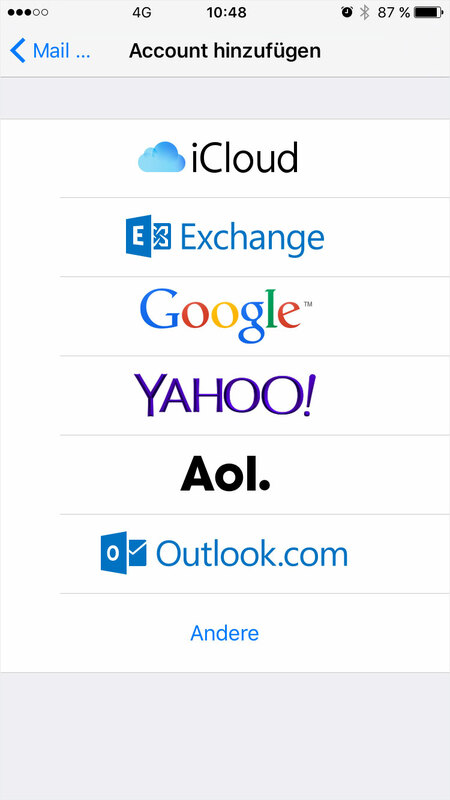 This allows you to read emails on other computers and mobile devices. In the case of POP, emails are downloaded to your iPhone and then deleted from the server. You also have the option to enable SSL. 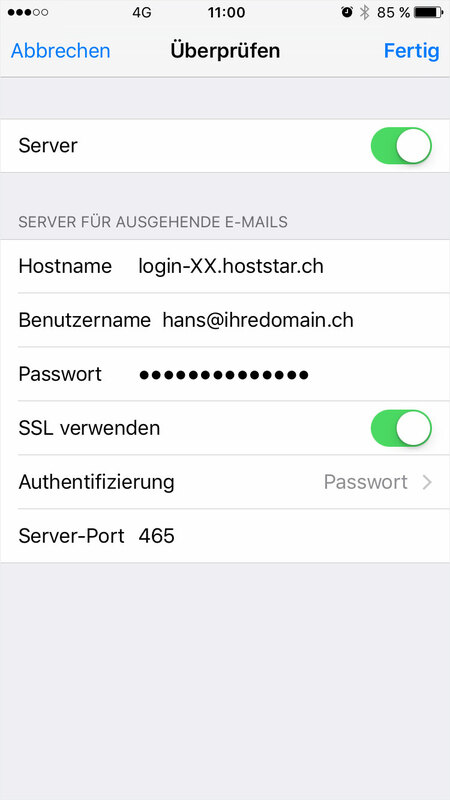 The SSL connection is used to encrypt the connection between your iPhone and the email server, making it more difficult for hackers to read your emails. Now select the protocol you want to use to retrieve your emails. Next, enable SSL encryption if desired. The various settings options change depending on what you choose. User name: The username is the email address you want to configure. Password: Enter the password you set for that email address in My Panel. If you do not know the password, refer to the instructions for changing your email password. The server settings for incoming and outgoing emails are identical. Click «Next» and then «Save». Now open the account you just created. Your settings should now match those shown in this image. Click «SMTP» under the heading «Outgoing Mail Server». Click the field under «Primary Server». 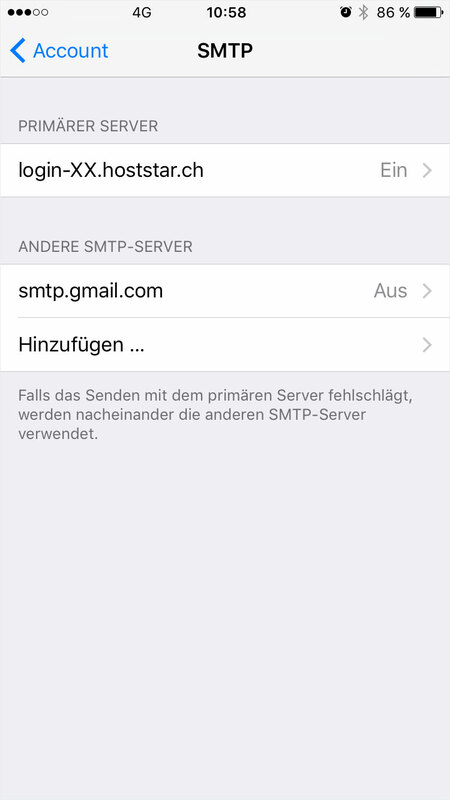 Configure the SMTP settings to send emails from your iPhone. If you want to use «SSL encryption», enable the «Use SSL» option. 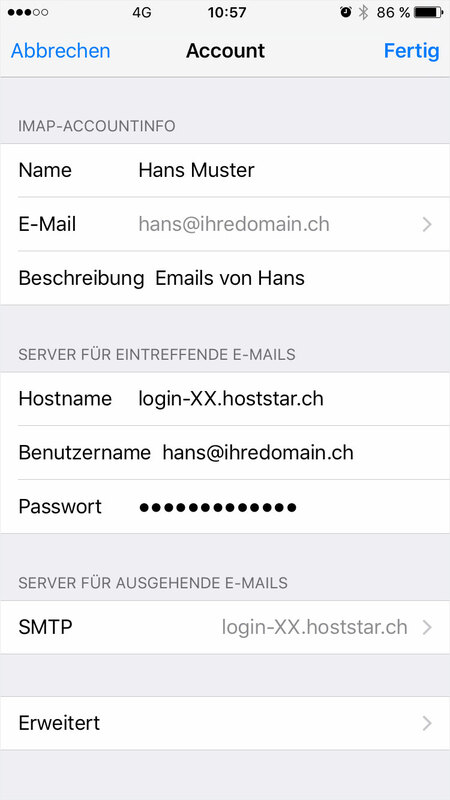 Under «Authentication», select «Password» and then enter the user details (email address and password). If you do not enter these details, you will be unable to send emails from your iPhone. If you are not using SSL, enter «587» in the «Server Port» field or enter «465» if you are using SSL. Click «Done» to save your settings and return to the main page of your account. Next, click on «Advanced» at the bottom of the page. 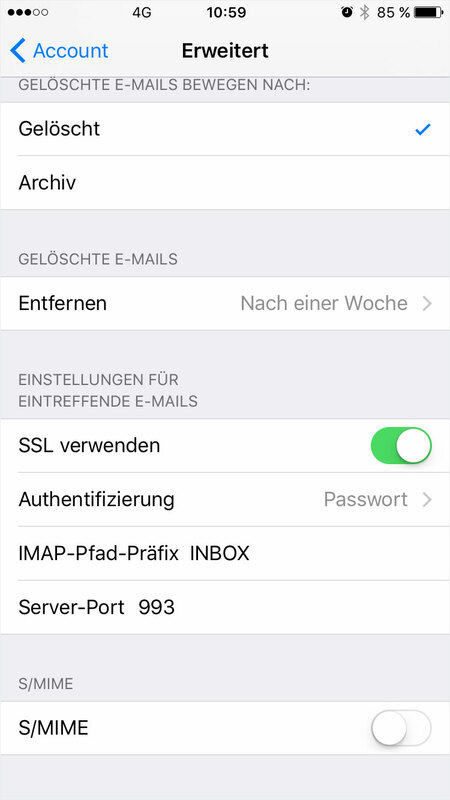 Configure the IMAP settings to retrieve emails using IMAP. 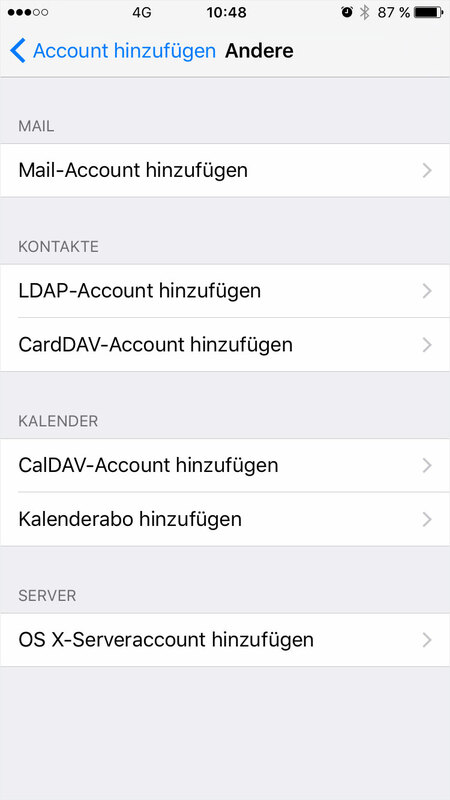 Under «Mailbox Behaviours» you can select folders for your sent, deleted or draft messages (normally these are «Drafts», «Sent» and «Trash») on the server or your iPhone. We recommend using these settings for all of the entries to avoid problems when moving emails. The «Deleted Mailbox» setting lets you specify a period of time before deleted emails are permanently deleted from the «Trash» folder. 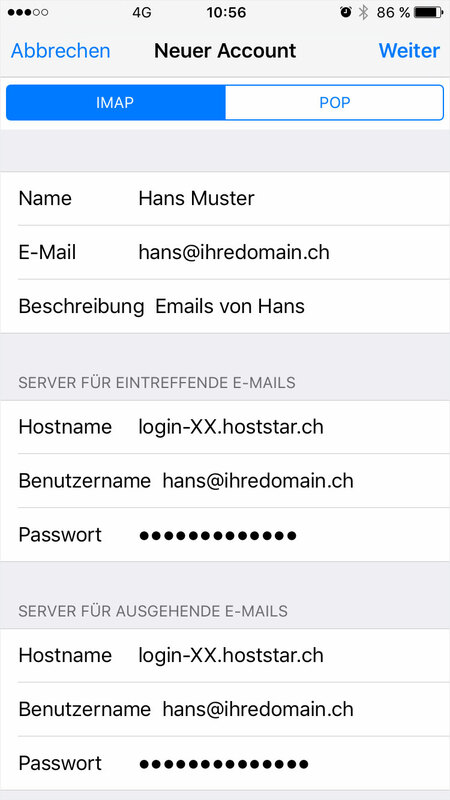 Under «Authentication», select «Password» and then enter the user details (email address and password). Otherwise, you will be unable to receive emails. Under «IMAP Path Prefix», enter «INBOX». This allows emails to be accessed correctly on the server. If you are not using SSL, enter «143» in the «Server Port» field or enter «993» if you are using SSL. Return to «Account» and click «Done». All settings for your email account on your iPhone have now been configured.